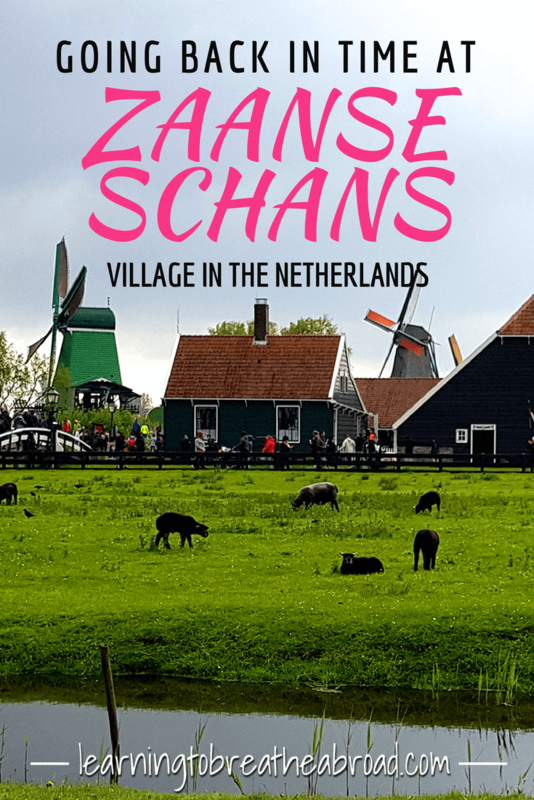 Zaanse Schans is a little village that has been recreated to depict life in the 18th and 19th Century in the Netherlands, so visiting was like taking a step back in time. Zaanse Schans is one of the top attractions in the area and has more than a million visitors per year. It was packed with tourists and for good reason. It was a rather zany, fun and educational experience and made for a great afternoon out. Our first stop was the clog making workshop, where we watched a pair of clogs fashioned from a piece of wood. There were display cases showcasing the most outrageous clog designs and of course we had to have the obligatory photo standing in a pair of oversized clogs. The heavens suddenly opened and we dashed past grazing sheep to the coffee house, the delicious aromas of freshly ground coffee beans hit us as we stepped inside. You could buy coffee beans and have a cup of coffee, but we had a quick look and left as soon as the downpour stopped. The little wooden houses lining the canal were so quaint and there is accommodation available for those wanting to stay overnight. Some of the houses are private residences. The Zaan area used to be an important industrial hub with hundreds of windmills, used to produce spices, snuff, paper, paint and other products. The tradition of running and maintaining a windmill was passed through the generations but has become a dying trade and there are now very few people left who have the required skills. We got to see the spice house, filled with barrels of deliciously aromatic spices. The bakery was next, filled with all manner of sugary cakes and yummy treats. Our new found love is Stroop Wafels, which are waffle wafers filled with a caramely syrup. Leave them on top of your mug of coffee for a few minutes so that the inside melts and you will have found heaven! The cheese factory was the last stop. We got to see how cheese was made as well as sample a huge variety of different flavoured cheeses. 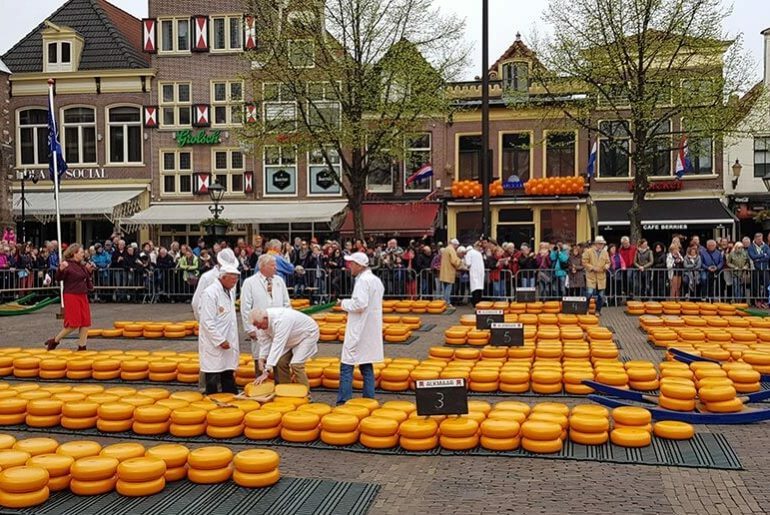 The cheese shop was quite chaotic with everyone clambering to buy their chosen cheese wheel. 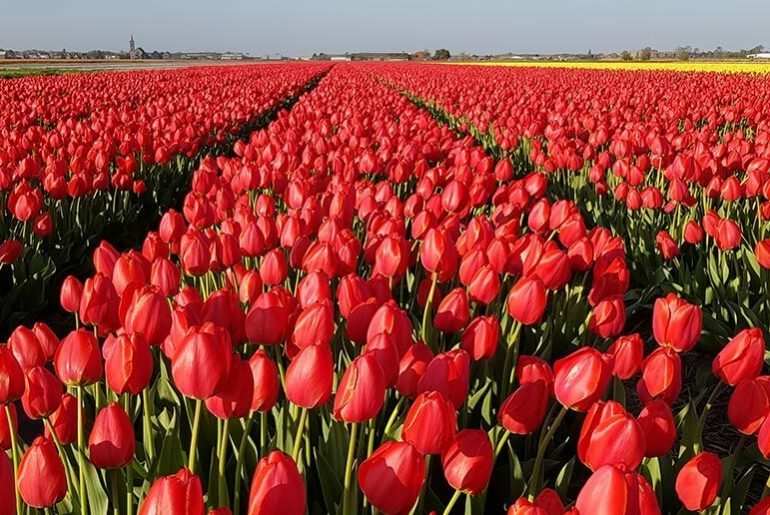 The 30-minute drive to the village took us through stunningly colourful tulip fields, along a dyke and through some really, old quaint villages. It really is a beautiful country and we’ll be sad to say goodbye.